Catharine Hamm looked into how airline flight numbers are set, and why it’s a problem. I was happy to participate in the discussion. Re the flight numbers – there are so many other practical considerations not included. It’s a wonder the reporter left them out! Many airlines now use the same number for round trip flights, so that you can have the same number into a city, and the same number leaving. Many wonder about that. Then, airlines also make every effort not to have the same flight numbers in the air going into the same airport at the same time. Imagine the confusion if QANTAS 123 is on approach to LAX at the same time as American 123? That’s when you DON’T want confusion! Airlines also use specific sequences of numbers for certain types of operations (flights). Ferry flights, maintenance ferry flights, positioning flights, delivery (of a new aircraft) flights – although many of these ‘separators’ are crumbling. The reporter was very vague about why they’re running out, if they are at all. Of course there are thousands of flights a day, but even the largest airline isn’t operating 9999 sectors, even with codeshares and technical flights. JAXBA – I don’t know how many flights are scheduled including codeshares by the big guys, but I think the bigger issue is probably that they need to set aside blocks for certain uses. Regional partners each have their own block of numbers. Ferry flights, charters, etc, all get their own blocks. I don’t know if that’s a systems limitation or just a policy issue, but that artificially limits the number that can be used. Brett, Long before Spirit, TWA had flight 711, O-Hare to Las Vegas. It was almost always a widebody and even on some occasions, a 747. The humor and irony was never lost on anyone. Flight 500 is special too. Alaska (Seattle), Delta (Paris), United (San Francisco), Allegiant (Vegas), and American (Phoenix) all have flight 500 going to/from Indianapolis. Somehow the controllers manage to avoid confusion. Flight numbers are a combination of numbers and letters prefaced by the carrier’s two letter code. So pretty much the flight numbers are just a short version of a long version of where you are going and who you are going with. You need to make sure you know how to airline-speak, flying has an alphabet known as the aviation alphabet or phonetic alphabet. They have certain words for a certain letter, just like police talk. This alphabet makes sure there is no confusion in the air because ever air piolet should know it. Flying is an amazing feeling that makes me feel alive. JetBlue uses flight number 1600 BOS-DCA, 1776 PHL-BOS, 777 BOS-LAS, 405 BOS-LGB and flight 1 JFK-FLL is JetBlue’s first route. I’m sure this is a very stupid question, but… Could carriers not just create/obtain a dummy 2-letter code? For example, could Southwest reinstate/reclaim (or, in future mergers, not give away) the FL code that AirTran used to use? There would still be some headaches operationally, but it wouldn’t be that hard to ensure that no WN and FL flights ever touch the same or nearby airports, and if they did during IRROPs it wouldn’t be the end of the world. Kilroy – That’s a good question. It’s a nightmare for a whole host of other commercial reasons, but I suppose it might be possible. It may, however, require a separate operating certificate. I’m not quite sure. 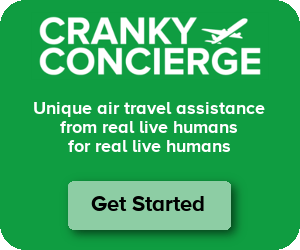 It drives me crazy to hear reporters/news articles discuss “direct flights” when I know that they are actually discussing “non-stop flights.” And you can tell that the traveling public makes the same mistake when they talk about how angry they were when their “direct flight” made a stop in [insert airline hub here]. It took little time for the oil companies to change their thousands of pumps to triple digits when the price of a gallon of gas exceeded $.99. I’m sure they’re already contemplating the same for when a gallon exceeds $10.00. Air carriers will expand their alpha/numerics as needed.